Gaylord Hauser SuperLevure available at the best price in our online pharmacy bio. Who is Gaylord Hauser SuperLevure for? 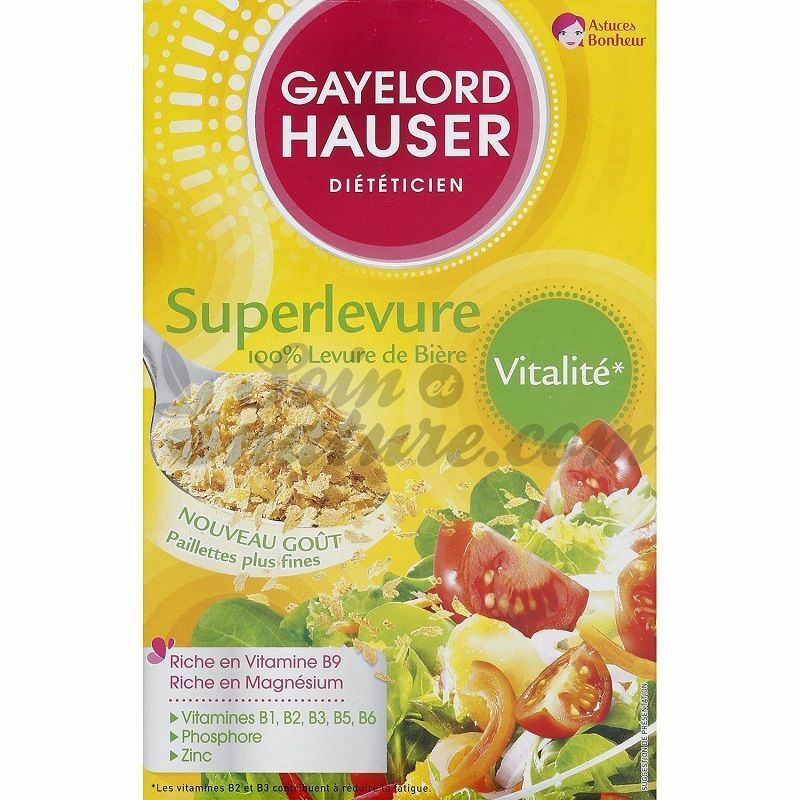 Superlevure Vitality of GAYELORD HAUSER, the food supplement rich in vitamins to restore tone during temporary tiredness. Beer yeast is naturally rich in vitamins B1, B2, B3, B5, B6, B9 and Iron, Zinc, Magnesium and Phosphorus. What assets are present in Gaylord Hauser SuperLevure? The Gayelord Hauser brand is made up of wellness and beauty dietary products for women to get back on the line and restore inner well-being. Their superlevure is a true nutritional concentrate that ensures a daily supply of vitamins and minerals . This makes it possible to compensate for any shortcomings due to the food imbalances of modern life. What are the results of daily use of Gaylord Hauser SuperLevure? The Superlevure has always been known for its benefits on the radiance of the skin and the hair , but also to strengthen the nails . In the form of tablets: Cure of 1 month. Swallow 9 tablets daily to dispense during the day with a glass of water. In the form of glitter: Sprinkle as is on all your hot dishes after cooking (pasta, rice, soups, grilled meat, fish ...) or cold (salads, raw vegetables ....) or to incorporate dairy products, white cheeses, to your bread dough recipes. To be used for 3 months for an optimal result. 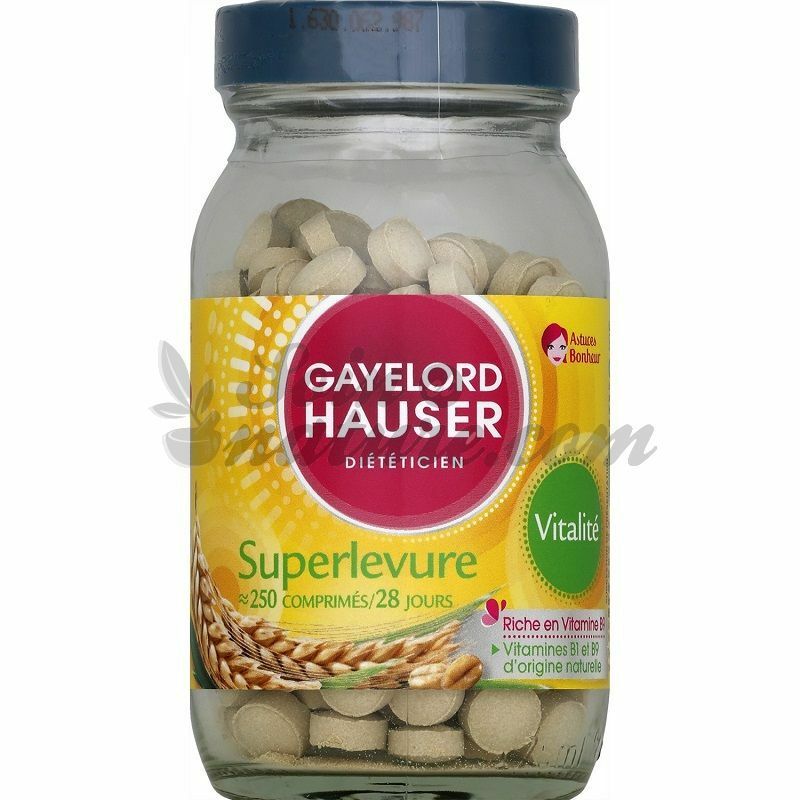 Comment on the recommendations for use and dosage of Gaylord Hauser SuperLevure with our Verified Reviews partner after your purchase. Brewer's yeast (gluten) 99.5%, anti-caking agent: silica dioxide. Store in a dry place away from heat. Hair loss, brittle nails, digestive disorders, fatigue ... Beer yeast is a natural fortifier that we can all need at one time or another. To consume beer yeast is a bit like ingesting an army of living cells ready to defend you. One, it attacks the toxins present in your body. Two, thanks to its vitamins and trace elements, it reinforces the action of the immune system. Finally, it increases the activity of phagocytes. These cells are responsible for including foreign bodies, especially microbes, in order to destroy them. Forget about colds and other winter infections that ruin your life! Discover all of our new range of dietary supplements for nails and hair in the online bio pharmacy nutritherapy section. You lose a lot of your hair ? Your nails are striated or brittle? For naturally reinforced hair and nails, the expert pharmacists of your online bio pharmacy have developed natural food supplements in the form of capsules and tablets. 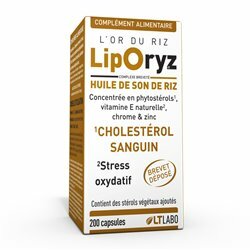 Find among others the yeast of Arkogélulles , Forcapil Nails and Hair , vitamins, Beta-carotene to contribute to hair and nails that radiate health.